The deadline for filing IT returns is fast approaching and most of the salaried people and professionals would be bracing themselves to file their returns before the deadline. Quick refund, more interest: If you are claiming a refund for excess tax deducted or paid, you can get your refunds quicker when you file your returns early. This is because processing of refunds takes more time than processing forms where tax is due. Also, if your refund amount is 10% more than the tax payable, you get 6% interest on the refund amount from the date of filing the return. So, the earlier you file the return, the more interest you earn on the excess tax you have paid. Sufficient time for documentation: When you start early, you have enough time to get all your documents, such as Form 16, Form 26As, loan repayment statements, interest certificates, etc. for the purpose of filing your returns. You can avoid getting into a panic situation and running around to collect these documents from your employer, bank and other sources to meet the deadline. Rectification of errors: When you file your returns early, you will have sufficient time to rectify any errors that might have cropped in. So, if you have missed out on some source of income or have forgotten to claim refund, you can file a revised return before March 31 next year. 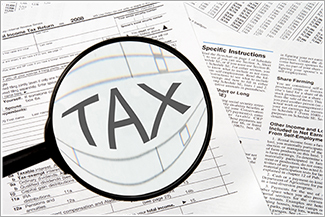 Avoid penalty for late filing and penal interest: The penalty for late filing of return is Rs 5,000 for returns filed on or before December 31 of the assessment year and Rs 10,000 for returns filed thereafter. For assessees whose annual income is less than Rs 5 lakh, the penalty is Rs 1,000. Also, penal interest of 1% per month is levied from the due date on the amount of tax. More time for CA or TRP: If you file your returns through your Chartered Accountant (CA) or Tax Return Preparer (TRP), he will have more time to work on your return if you approach him early. Your CA or TRP can pay more attention to details and documentation when the workload is less and there is sufficient time for filing the return.